Nancy Emerson provides Elite Surf Coaching on the Gold Coast of Australia. 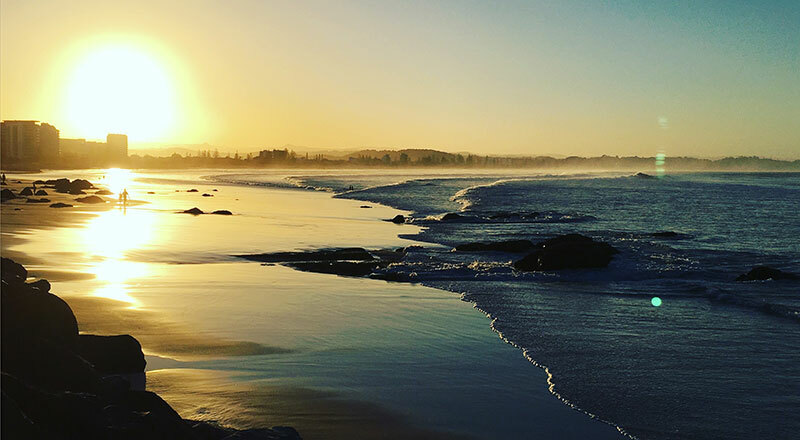 Are you planning a surfing holiday, but have never explored The East Coast of Australia? 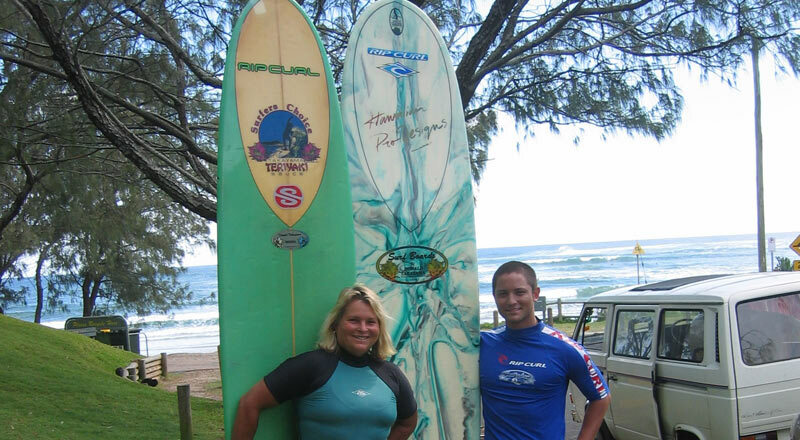 Nancy will Help you plan & book a surf guide to show you around or maybe escape up to the beautiful Sunshine Coast. 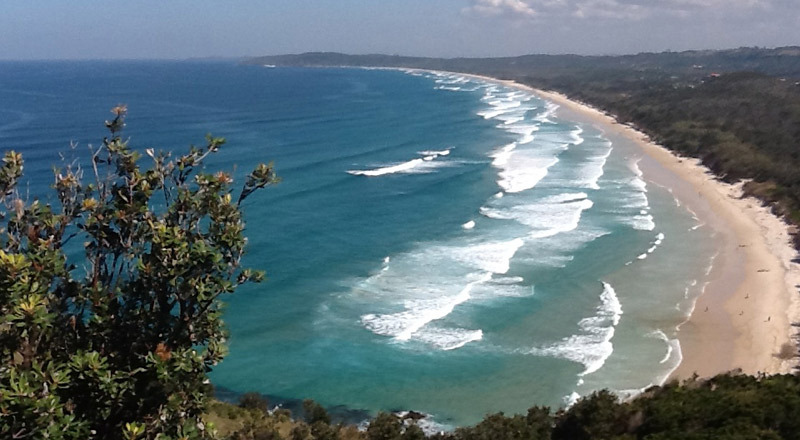 Queensland’s Gold Coast surf beaches and along the Byron Bay shire of Australia are just breath taking to surf along. Nancy Emerson with her years of experience, knowledge, patience, and vitality will help you to improve, your progress and help focus on your skills, and boost your surfing to new levels of fun and to empower you to your next level of surfing. Nancy Emerson Elite Surf Coach and Surf Guide Will show you the ins and outs on The Gold Coast, Upper NSW and The Sunshine Coast of Queensland, Australia. Come visit and surf with Nancy through her Hawaiian surf school Nancy Emerson School of Surfing down on the Southern Gold Coast near Coolangatta, which is on the East coast of Queensland Australia. 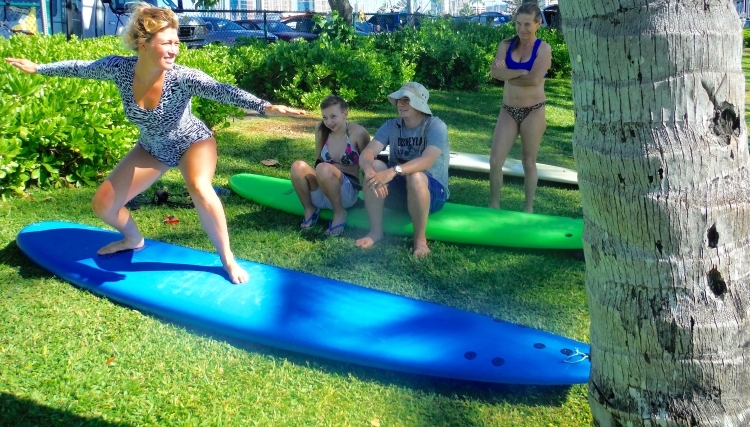 Nancy provides elite surf coaching for all levels of surfers. 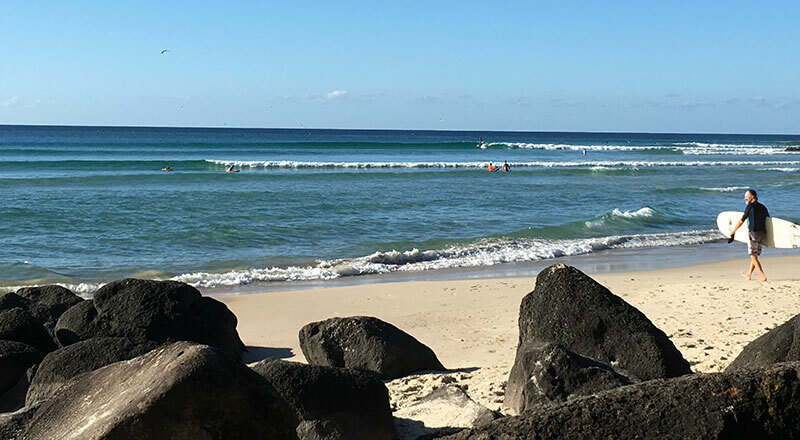 There are many surf spots on the Gold Coast like Snapper Rocks, Rainbow Bay, Greenmount, Kirra, Currumbin, and to South of the boarder from DBar, Fingal, down the coast to the Byron shire. And Nancy can even arrange a surf trip up to the Sunshine coast for you or even out to the North Stradbroke island, which is an amazing trip in itself! 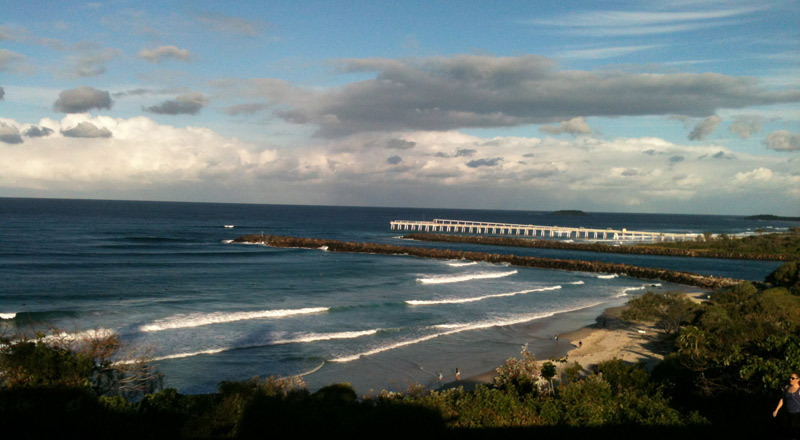 These beautiful surfing spots provide you with very consistent waves for surfing. Come down and enjoy and sample some crisp, clean long waves along pristine deserted white sand beaches of the East coast of Australia. Nancy is the “originator” of the Learn to Surf in One Lesson technique, where she first started teaching and coaching surfing in the Hawaiian Islands on Maui in 1973. Ms. Emerson after living on the Gold Coast off and on since 1998 has a wonderful understanding of where to go surfing and when. Nancy was surfing in Australia as one of the WSL pioneer professional surfers from Hawaii from 1977-1992 and was able to explore waves from Noosa in Queensland to Johanna in Victoria and all though out New South Wales. 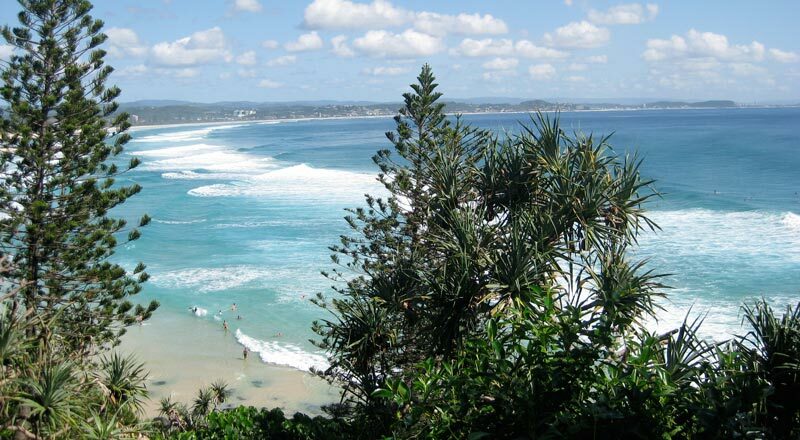 Nancy fell in love with The Gold Coast and the amazing fun waves at Kirra, Rainbow Bay, Snapper Rocks and so many more spots which are beautiful beach parks on the Gold Coast, Sunshine Coast and the Byron Shire. Nancy started coaching and teaching surfing on Maui and expanded to Japan, California, Mexico, Fiji, Dominican Republic and to Australia in 1998 at Rainbow Bay. Ms. Emerson and her Gold Coast surf school “Gold Coast Australian School of Surfing” was run by Nancy for 18 years. Nancy sold her surf school on the Gold Coast in 2016. But is still teach and coaching people internationally and locally from around Australia and New Zealand. 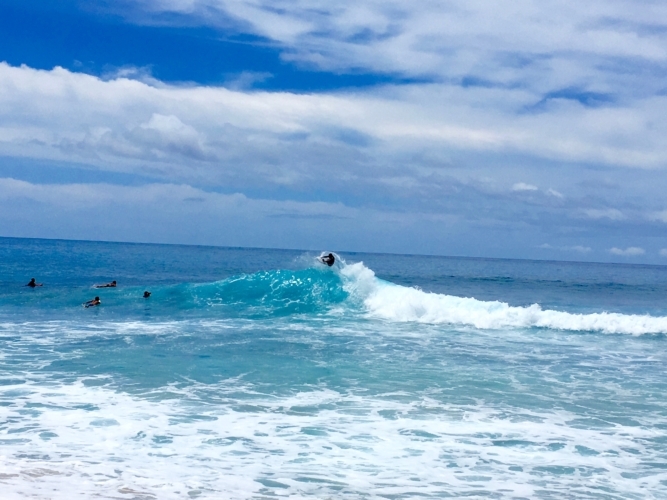 Hawaii’s first surfing institution in the Hawaiian Islands on Maui. 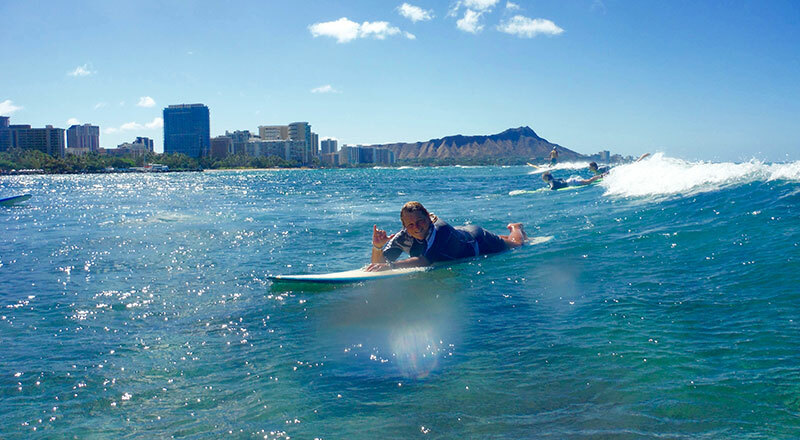 Nancy’s surf schools in Hawaii focus on the complete surfing experience. The schools place a strong emphasis on water safety, ocean awareness and surfing etiquette. Coaching with a keen eye to the subtle aspects of form and style, with a specialty in developing a proper foundation for the beginner and first-time surfers, as well as providing the tools and techniques to help hone the skills of even the most experienced surfer. And That’s what you will also find with Nancy as your personal coach when Nancy is on the Gold Coast. Nancy welcomes you to book your surfing holiday and come surf on the Gold Coast. Nancy can help prepare you for surf contests on the coast or worldwide or just boost up your surfing so you will have much more fun! Best to email Nancy at nancy@surfclinics.com and Nancy will personally help you plan your surf trip to beautiful Australia. IF MY DOGS APACHE AND CHEROKEE MOANA CAN SURF SO CAN YOU! Ms Emerson, Hawaiian star, lectured Miami High School students on water safety, learning to surf and the Hawaiian Culture. The joy she gives in her teaching, you don’t want to miss if you meet her. Anyone looking for a good surfing safari outside of the United States should not look any further than Down Under and Nancy Emerson should certainly be the surfing guide. I took a special trip up from Sydney to the Gold Coast to take another set of lessons from her. Nancy not only instructed me, but she also took me around the area, showed me different surf sites, and basically was a tour guide for me.